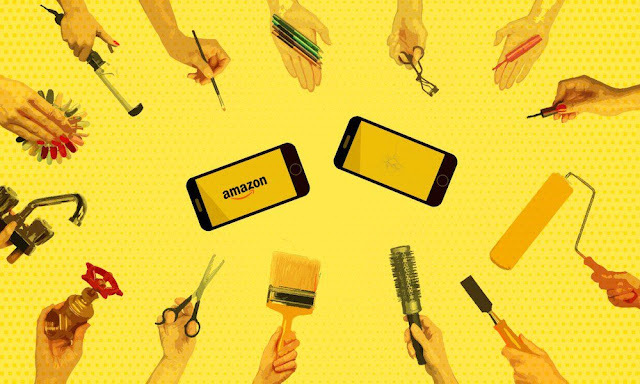 Amazon’s thriving Home Services marketplace is now offering iPhone Screen Repair, a welcomed addition to its growing list of services that include furniture assembly, plumbing and house cleaning among others. The program now allows customers to have a technician come to their home and fix their broken iPhone screen. The service is tailor-made to work around your schedule, eliminating the hassle of waiting in line at an Apple store or any other phone repair shop. According to Amazon Home Services, the service includes the visit from the technician to your home or office and the replacement of broken screen, with all parts included in the quoted price, with no charge given if the device can’t be fixed. Amazon uses qualified technicians from small local businesses in your area, allowing for the repair service to be offered in many cities around the U.S.
“We’ve handpicked the best service providers in your neighborhood and require all service pros to be background checked, insured, and licensed if applicable. Service pros compete for your business based on price, quality, and availability. All services are backed by our Happiness Guarantee, so if you’re not satisfied we’ll make sure the job gets done right.” says the Amazon Home Services page. Amazon’s iPhone Repair currently holds a rather impressive 4.8 out 5 stars rating, with 92 percent of customers praising the service. The common consensus is that the service is easy to schedule, technicians are friendly and efficient, with most reviews noting that the whole repair took no more than 30 minutes. At the moment, you can get your iPhone screen repaired at a discounted price, with Amazon Home Services offering customers 15 percent off the original price.